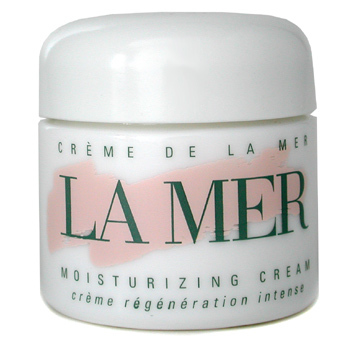 On of the most talked about products that actually has a "cult-like" following with members being everyday people to A-list celebrities has got to be Creme De Le Mer. Actresses like Heather Locklear, Shannon Elizabeth, Christina Applegate, Gabrielle Union and Jill Hennesy all swear by it. The moisturizer has been raved as the best of the best. I've read it's great for dry to combination skin, but not so much for oily skin. The price tag is also on the high-end, but many have said it's worth it. You get what you pay for! The creme has been said to reverse aging, give your skin a natural glow, and reduce the appearance of wrinkles. It also leaves the skin feeling moisturized. It's very light compared to many other products on the market right now. I'm still in the beginning stages so I'll let you know how it works out! Have you tried it? Let me know your experience. I haven't tried it but the main ingredient in creme del mer is petroleum jelly AKA vasline that's why I can't get myself to buy it ! however I know people who use it and adore it .